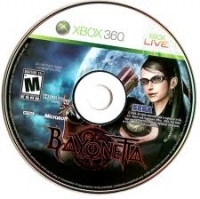 04-15-2014 instantreplay Box Text Caught in the middle of an age-old rivalry, Bayonetta uses her demon-summoning powers to fight off legions of angelic enemies. As she uncovers the astounding truth of her origins, she discovers she alone may hold the key to saving all of creation. Unearthly special attacks and combos. Fight with katanas, shotguns and more. 04-10-2013 artikskarab Box Text Caught in the middle of an age-old rivalry, Bayonetta uses her demon-summoning powers to fight off legions of angelic enemies. As she uncovers the astounding truth of her origins, she discovers she alone may hold the key to saving all of creation. Unearthly special attacks and combos. 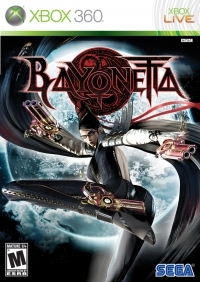 Fight with katanas, shotguns and more. 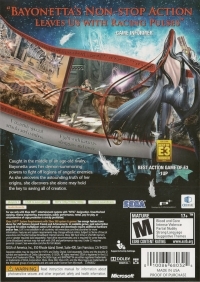 11-27-2012 st01c Box Text Caught in the middle of an age-old rivalry, Bayonetta uses her demon-summoning powers to fight off legions of angelic enemies. As she uncovers the astounding truth of her origins, she discovers she alone may hold the key to saving all of creation.